concerning the bonny bunch of roses o.
until I'm ready to take command. he granted it right manfully. and kings likewise to bear his train. that he could sweep the world for gain. their unity will n'er be broke. in St. Helena he lies low. for now I lean my youthful head. oh but now I lean my mournful head. The Bonny Bunch of Roses describes a conversation between 'Young Napoleon' and his mother, referring to the epic ventures of Emperor Napoleon Bonaparte of France. Young Napoleon is the son of the emperor and his mother is Napoleon's second wife, Marie Louise. 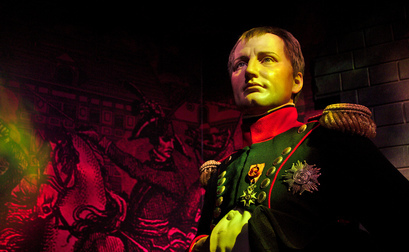 Young Napoleon was declared Emperor Napoleon II of France when his father abdicated, but reigned for only a short time since the coalition which had forced Napoleon's abdication refused to recognise Napoleon II as his successor. In the song, he describes his ambition to follow in his father's footsteps and to gain victory in mighty battles, and in particular to conquer Britain. The phrase 'the bonny bunch of roses' seems to variously refer both to the British soldiers (with their red uniforms) and to Ireland, England and Scotland, all considered part of Britain at the time. 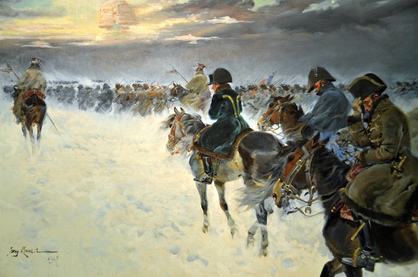 As it turned out, young Napoleon died at the young age of 21, of tuberculosis, as mentioned in the final verse. I've heard this song sung by various singers, probably first by Sean Garvey. It hardly needs to be said that such a song exists in various versions, some with differences in words and details of the story. Here is a version with somewhat different lyrics but which still tells essentially the same story. Here is a recording of Joe Heaney introducing and singing the song. And here is a recording of me singing it! and slew my light horseman on the way coming home. since my bonny light horseman in the war was slain. with my bonny light horseman who was slain in the war? Another song referring to Napoleon ('Bony'), this story seemingly told by the lover of a soldier who was killed fighting against the French army. My first memory of this song is hearing John Doyle singing it at a session. I used to meet John and his brother Brian occasionally at sessions in Coolaney and, like their father Sean, they both have good songs. I was recently reminded of the song when I heard Frank Carter from Sligo singing a nice version of it. Of course there are different versions as is often the case with old songs. Commandant Louis Darcy from beside Clydagh Bay. and to fight like a hero in the North Galway brigade. when trying to escape was shot down on the way. alone and unarmed the day he would die. he fought like a hero in the North Galway brigade. that bright light of freedom adorns your name. 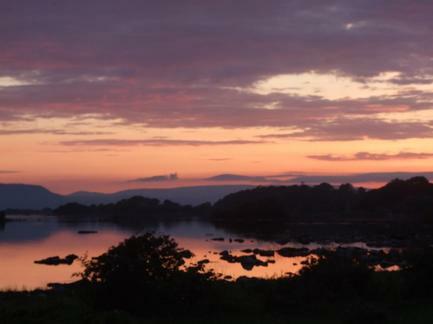 And to shine like a beacon around Clydagh Bay. The only person I've ever heard singing this song is John Folan from Castlegar, Co. Galway. The words opposite are only as accurate as my memory permits from having heard John singing it on various occasions. Louis Darcy was captured in Oranmore by the Black and Tans in 1921 and subsequently shot. for to gaze upon the scenes of New York. you're the fairest that my eyes have ever seen. you're my own dear native land so far away. to my own dear native land so far away. would I ever see my dear ones any more? in my own dear native land so far away. Of course, not all emigrants from Ireland who travelled to places like New York or Boston regretted the move; many settled very well and enjoyed good lives in their new homes. Many still do. If a lot of traditional songs give the impression of always missing Ireland, and hoping to return, it is probably because some of those who left were rather unwilling emigrants, and in many cases left situations of serious poverty and deprivation in the hope of finding employment and happiness in the new world. Even if things worked out well, they might have regretted not having much of a choice in the matter. Erin Grá Mo Chroí is Irish for 'Ireland, love of my heart'. As usual, there are different versions of the song, some with somewhat different words, but I like the version given here. 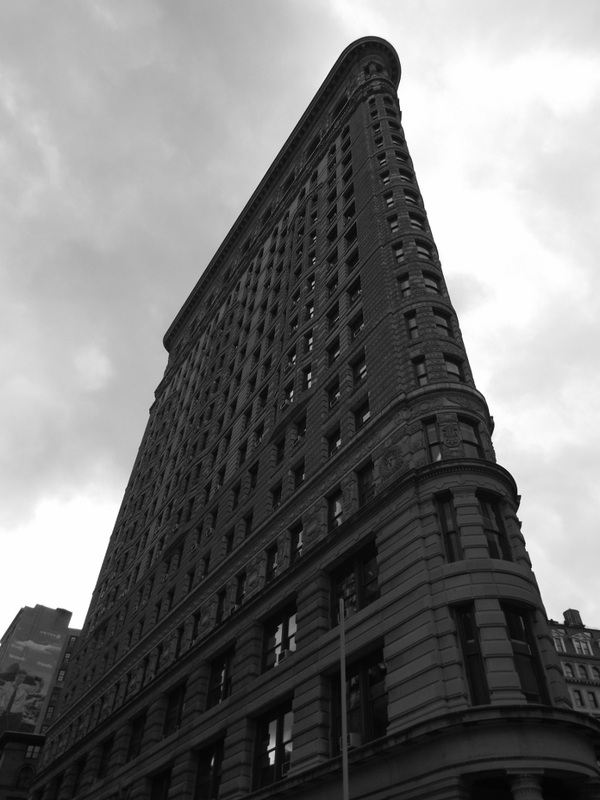 The Flatiron Building in Manhattan, New York City. It was completed in 1902, and has become an iconic building in New York due to its distinctive architecture and triangular shape.